Putnam Ridge Senior Barbeque a Success! Guess Who I bumped Into Today! I was so thrilled to bump into our beloved Administrator and Social Service Director today, at a course for continuing education in healthcare! Rosey, Jennifer, it was a pleasure seeing you both today and thanks for taking this photo together with me! 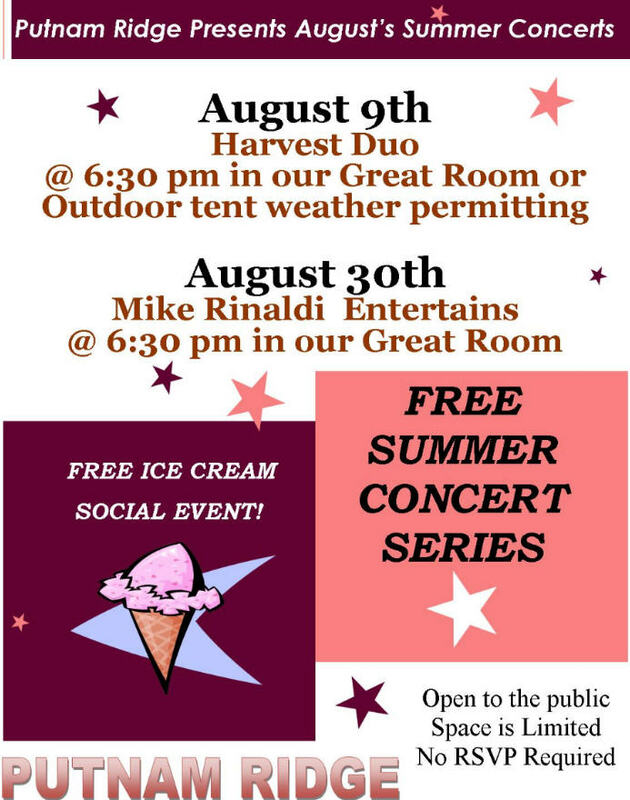 Putnam Ridge’s Summer Concert Series Continues through August!